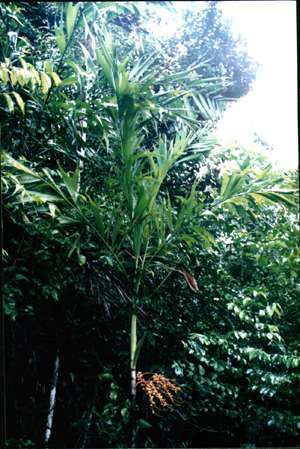 Description: -This species has a lovely arching affect to the leaves new leaves are boarded with a thin red stripe around the "leaf margins" clumping and growing to around 5m tall also requires a little lime to soil once a year and fertilize through the warmer months and regular watering also requires protection in subtropics. Frost will burn it badly. Growing Climate: -Temperatures 6.C to 35.C. Best above 12.C.